For the past three years, the same carwash chains have dominated the top five slots in the same order: Mister Car Wash, Autobell Car Wash, Wash Depot Holdings, Goo-Goo Express Wash Inc. and Boomerang Carwash. This year, the top five looks a little different because two “new” players have entered the field. In fact, 40 percent of the top 10 are new to the rankings, whether because they rose in rank or were newly added. Of further note is the fact that there are 183 more locations in just the top 10 compared to last year’s list (from 575 to 758) — a 32 percent increase. First place still belongs to Mister Car Wash, which gained 72 new locations since the release of the 2016 Top 50 list and showed the largest growth. Second place now belongs to a company still relatively new to the U.S. sector: International Car Wash Group (ICWG). ICWG entered the U.S. market in 2015. While its American portfolio already contained multiple chains, including Car Wash USA Express, in August 2017 it also acquired Goo-Goo Express Wash. Goo-Goo Express Wash and Car Wash USA Express were on our 2016 Top 50 list in fourth and 13th places respectively. Third place also sees an old name in a new spot. 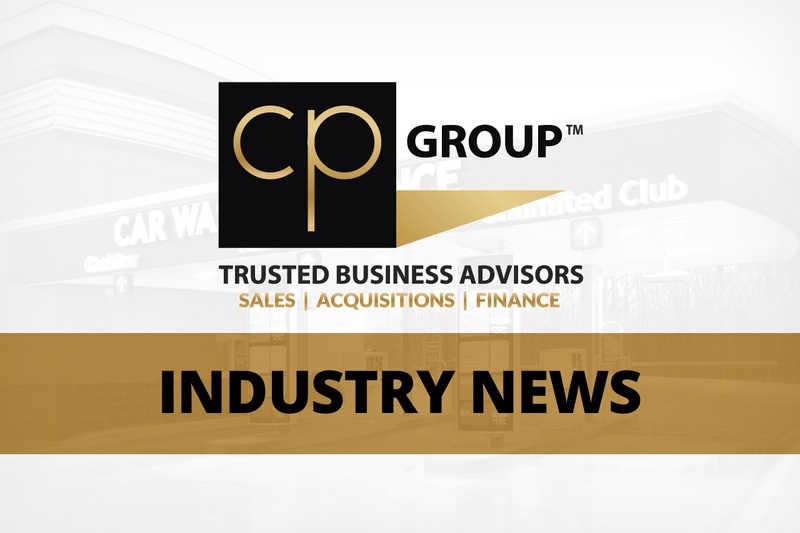 Shortly after PC&D released the Top 50 list last year, Zips Car Wash acquired Boomerang Carwash in a deal that “represents the largest single-company acquisition in the history of the carwash industry,” according to a press release at the time of the acquisition. (Not even 11 months later, ICWG eclipsed this mark with its Goo-Goo acquisition.) Zips Car Wash, which was ranked ninth last year with 23 locations, immediately jumped up to third place with 57 locations. Since then, the chain has conducted a steady series of acquisitions, gaining 71 new locations overall. Fourth place now belongs to Autobell Car Wash, which added four locations since last year’s list, and Wash Depot Holdings Inc. rounds out fifth place. The Mister Car Wash brand is anchored in quality, friendliness and our commitment to creating memorable customer experiences. We recruit and retain top talent, offer best-in-class training programs, invest in employee benefits and celebrate our employees’ successes. We also give back to the communities we serve through programs like “Inspiring Futures.” Mister Car Wash inspires people to shine by motivating both our employees and our customers to be their best. Founded in 1965, ICWG is the world’s largest conveyor carwash company, currently operating in 14 countries around the globe and washing more than 35 million cars every year through a network of more than 900 locations. ICWG operates under the IMO banner in Europe and Asia-Pacific. In the U.S., ICWG operates under the banners of Car Wash USA Express, Goo-Goo, Zippy’s, Car Wash Express and Supersonic Car Wash. ICWG is committed to delivering consistent wash quality for the customer while minimizing the impact on the environment. At Zips Car Wash, we are revolutionizing the carwash industry through a high-performing culture. Headquartered in Little Rock, Arkansas, Zips operates 94 locations in 11 states, including Arkansas, Oklahoma, Kansas, Texas, Florida, North Carolina, South Carolina, Georgia, Mississippi, Louisiana and Tennessee. Zips offers four levels of carwash packages in the convenient form of a ride-thru carwash experience. Zips also offers free self-serve vacuums and Unlimited Wash Club Memberships at all locations. Founded in 1969 in Charlotte by the late Charles Howard Sr., Autobell Car Wash has 78 locations in North and South Carolina, Virginia, Georgia and Maryland, and it remains privately held and operated by the Howard family. The company is well known for its water conservation procedures and employee certification training program and has received recognition from utilities, governments and media for its environmental commitment, community and employee relations, and its scholarship and charity carwash programs. 5. Wash Depot Holdings Inc.
Wash Depot Holdings Inc. was founded in 1995 and is based outside Boston, Massachusetts. With 50 carwash facilities from New Hampshire to California, Wash Depot is one of the nation’s largest carwash companies and markets under the Simoniz, Sparkling Image and Eager Beaver brands. In addition, Wash Depot operates Meguiar’s Detail Centers and Mobil 1 Lube Express quick lubes.